We have had over 1000 dogs come through the door for classes!! 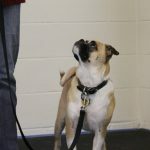 98% of the dogs that attend our program, attend 2 or more sessions. We are very proud of this and the quality services we offer. Sessions run year round in our state of the art 2400 square foot training facility! Our facility has special agility flooring with mats that provide excellent grip and traction, add maximum comfort for dogs and handlers, and give more joint support. 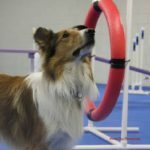 We run classes to accommodate each dog’s needs keeping into consideration their age, level of training, temperament, and physical capabilities. The obstacles are safe and offer no harm or risk to their temperaments, or physical condition (such as joints). Your dog’s nose knows! In this sport, the dog must locate a hidden target scent within an area and alert the handler to its location. It is a true partnership sport in which both partners must rely on one another. We will cover easy scent games that can be done at home for mental stimulation. If you would like to compete we can work towards trial preparation. RallyO is for those who desire an effortless activity that is fun and games. 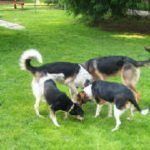 It is not simple or easy, but challenges you and your dog in a partnership that improves heeling and teamwork. 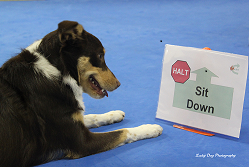 The ability to work as a team in this way during a RallyO performance greatly adds to the handler’s ability to maintain the dog’s attention and attitude at a high performance level. Private Training sessions have many benefits and are offered in the facility, in your home or off site in a park setting with more distractions. 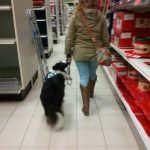 We also run multiple workshops throughout the year, from ‘Tricks’ to ‘Leash Training’. We also will create a workshop for any of the ‘Intro to Sports’ if there is enough interest, or you may even book your own group workshop with colleagues, friends and/or family.